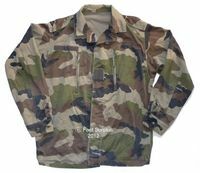 French Army F2 shirt / jacket. Button front, wrist poppers, epaulettes. 2 chest pockets. Semi elasticated waist. Central European Camo which is similar to US Woodland. G1 used condition. 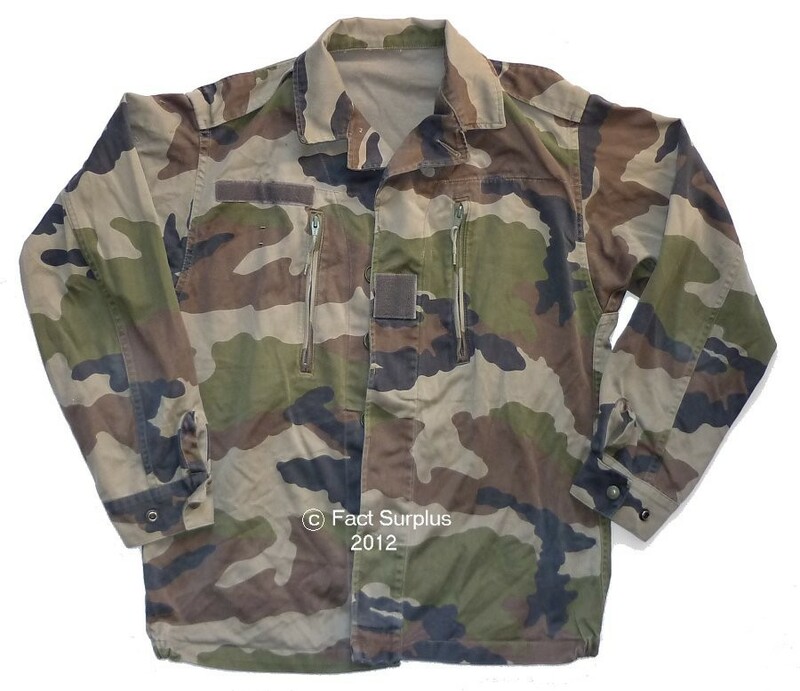 French F2 Jacket - Medium, 104cm (38"-40") chest. Height - Medium. French F2 Jacket - Large, 104cm (38"-40") chest. Height - Medium. G2 - Couple of holes on right elbow. 1 only. French F2 Jacket - Large, 112cm (42"-44") chest. Height - Medium. French F2 Jacket - Large, 112cm (42"-44") chest. Height - Long.